Evangelos frequently talks about the critical role his father played in shaping his character, forming his business model, and defining the strong code of values that guide him in life. From his father he inherited his love for Piraeus, Crete, and Olympiacos; and also his passion for creating things, and for contributing to the society around him. This bond between Evangelos and his father has been especially strong and helped guide the son’s personal and professional path in life. To this day, his father’s legacy influences his decisions. Miltiadis Marinakis was born in 1930 in Heraklion, Crete. During the Second World War and occupation his family's fortune was almost completely destroyed. From the age of 10 he was forced to work hard and while still young he joined the National Resistance, through the ranks of National Liberation Front (EAM) and United Panhellenic Organization of Youth (EPON). Before the war, the family owned the leading foundry in Crete, in Marinelli Street in Heraklion, as well as a ship repair workshop, land transportation lorries and buses. Today, the bells it made still adorn the church of Saint Minas, the patron saint of Heraklion, and also churches in Sitia, Rethymno and Chania in Crete. As pioneers in the sector they exported their products to Italy, France and the Dalmatian coast, especially Trieste. Miltiadis studied engineering at the Merchant Navy College. In 1958 he settled permanently in Piraeus, where he started his own business - a workshop for repairing ships. His engagement with shipping began in the late 1960s, through the establishment of his own shipping company. His passion for sports was expressed at a young age as he played football with his brother for the team of Ergotelis in Heraklion. Later, in 1979, he joined the group of shipowners who, under the leadership of Stavros Daifas, took ownership and invested in Olympiacos FC. Until 1984 he served as the general manager of the team, winning five championships. Given his great love of football, he was constantly looking for talent for Olympiacos. He was the person who discovered Nikos Vamvakoulas and who established Sarganis as the team’s first choice goalkeeper. Besides his involvement in Olympiacos, Miltiadis was also active in politics. He often stated that one should only get involved in politics, when you are truly willing to contribute to your homeland and your fellow human beings. 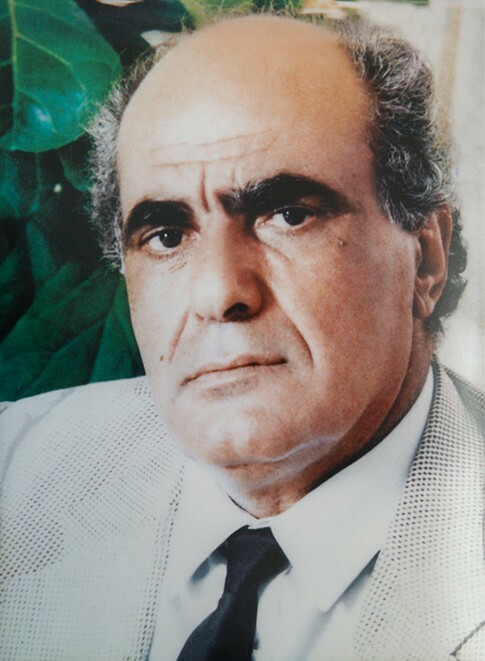 From 1978 to 1986, Miltiadis served as first elected member of the City Council Piraeus. And, in 1985 and in 1989 he was elected as a member of parliament for the New Democracy party. Having dedicated much of his life to public service, Miltiadis Marinakis passed away on April 27th 1999, at the age of 68. "... I spent my childhood in a loving family environment. My parents lavished me with love and attention, while keeping a low profile in my upbringing. They were against all exhibitions of wealth. From the time I was 14 years old, I accompanied my father to ships, drydocks, loading and discharging operations in Bristol, Rotterdam, Hamburg, Antwerp. So we spent a lot of time together, we travelled, talked and I absorbed the essence of the job. In spite of my young age, I created memories and experiences at the time that I consider invaluable to the present day. My father gave me primarily freedom and independence. Without oppression and without placing limits on my finances, I was free to learn and to test my strength. As long as I was in London, but also in Athens, he was watching me discreetly, and in his unique way he was passing me messages. The last 8 years that we worked together he gave me the opportunity to decide on sales, purchases, charters and more. He may have had the last word about everything, but he almost always approved my choices and then supported them." "Throughout my career, the fact that my father trusted and supported my choices was very important for me. Even when I got decisions wrong, he preferred that to me not having made any decisions. Although he was my toughest judge, he expressed his opinion about me freely in front of everyone: and that was hard to understand when I was young. Being exposed to such public criticism put me in a difficult position. At times, it made me very self-critical, making me remember my mistakes, so as not to repeat them. In this way, my father showed to everyone that he did not discriminate in favor of his own family and that he judged everyone fairly. He taught me to be responsible for my actions and to take responsibility for the company's mistakes without shifting responsibility to others..."
"The relationship with my father was never competitive. It has never been a matter of who decides, who will prevail, who will do the job. We were always thinking simultaneously about the same issues in the first person plural. So there was no competition. Our relationship was friendly above all. We were talking, creating and working together because we were grateful – it was about much more than just preserving our family fortune and making more money. We had a deep friendship. My father was also the person that criticized my actions most in order to make me correct my mistakes ... My father had a charismatic immediacy with people, he cared for his fellow man, he was conscious of the community, he cared for Heraklion, for Piraeus. In his way he helped me to look at the issues in their human dimension and not just professionally. To keep my sensibilities and not to lose my humanity, no matter how high I rise. He has also forced me, from an early age, to appreciate the importance of the human factor at work."